Most employees in the Honolulu catering department are from islands in Micronesia and rely on flight benefits to go home. On a recent morning at the Honolulu International Airport, Martha Tipelo stood on the sidewalk handing out flyers to anyone who would spare her a look. Cars and buses weaved in and out of curbside parking spots and the sound of traffic drowned out the Hawaiian reggae music playing overhead. People hurried out of their cars lugging backpacks and suitcases, their phones in their hands. Most barely glanced at the people in bright red shirts handing out flyers. “Hi,” said Tipelo, gingerly holding out a piece of paper with big bold capitalized words, “UNITED DOESN’T CARE ABOUT US,” to a man who promptly shook his head and walked away. It didn’t seem to faze Tipelo. She’s among a group of United Airlines catering workers in Honolulu — made up mostly of immigrants from Micronesia — who are trying to get better pay and benefits by unionizing. It’s about “respect and equality,” she says, something she believes is missing after 10 years of working in the airlines’ catering department. Unite Here Local 5 shop steward Imaculata Afituk hands out leaflets asking the public to support food workers’ effort to unionize. Tipelo’s department in Honolulu is one of five catering departments in Denver, Cleveland, Houston and Newark that filed a petition in January to vote on a union. More than 2,000 of all 2,700 workers — over 70 percent — signed cards, far more than the majority needed, according to Meghan Cohorst, spokeswoman for Unite Here Local 5 in New York. United is pushing back. 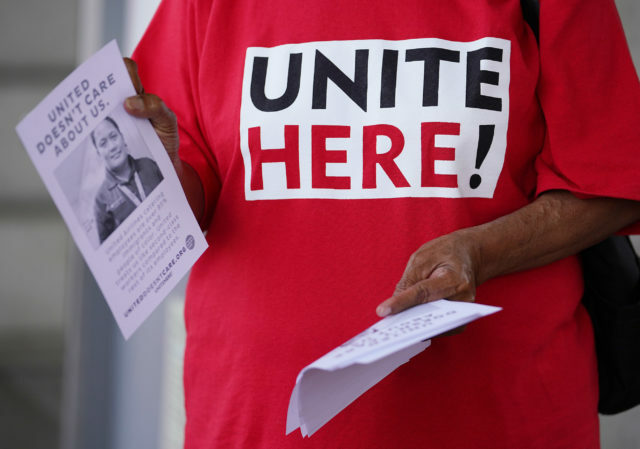 The company is challenging the union’s tactics with the National Mediation Board, saying in an official filing that workers were pressured or tricked into signing the union cards. Tipelo grew up in Chuuk in the Federated States of Micronesia and says that like most of her coworkers, she works for United because she relies on flight benefits to visit home. A roundtrip flight from Honolulu to Chuuk may cost $1600 and United has a monopoly in the region. Cohorst said the reaction is puzzling because about 80 percent of United Airlines employees are unionized and the catering workers are the only front-line employees without a union. 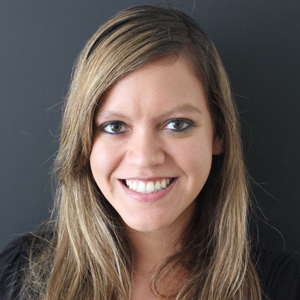 Tipelo moved to Hawaii from Guam at age 26 to look for a better job. She had always worked in catering, and first got hired for $12 per hour for a company that served airlines flying to Asia. When a position opened up at Continental Airlines — which later merged with United Airlines — the pay was only $7.75 per hour. But Tipelo took the pay cut because it allowed her to go home every year and visit family. She’s now earning just over $15 per hour, but says it’s still tough to make a living in Honolulu, one of the most expensive cities in the nation. Her coworker Rita Aritos, who is also originally from Chuuk, earns less than $11.50 per hour and says it’s a struggle to raise her three kids. Martha Tipelo looks on as Victor Gonzalez from Unite Here Local 5 hands out leaflets asking the public to support United Airlines catering workers’ effort to unionize. When union employees knocked on her door last fall, Aritos jumped at the chance because she’s been unhappy with her current work assignment. The money might not be so bad if the work washing and sanitizing trays and carts weren’t so taxing. Mymai Peter, 25, says one Boeing 777 flight can equal 30 carts and she might see 11 flights in one shift. While some workers want to unionize, United Airlines is arguing that many others were wrongly deceived or pressured by the union to join. Some employees were threatened with losing their jobs if they didn’t agree to unionize, United Airlines said. The National Mediation Board launched an investigation in March in response to the company’s concerns. “We believe the union’s allegations against United Airlines and its management are baseless and we look forward to hearing the results of the National Mediation Board’s investigation,” Benenati said in an email. 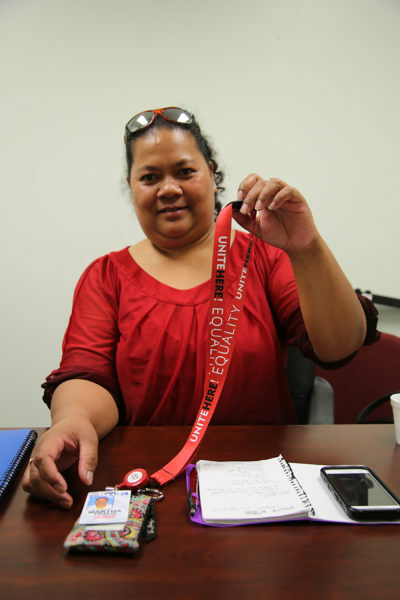 Martha Tipelo holds up a Unite Here Local 5 lanyard. But Peter, Aritos and Tipelo say it’s United Airlines that’s threatening them, not the union. Aritos said she was also told to take of her lanyard. Some of her colleagues did, but she refused. “I said, ‘No, I like this one, I’m going to use this one,” she said. Ironically, Aritos said originally only managers were allowed to have bright blue United lanyards but the company started giving them out for free when workers showed up with the red ones. The company allegedly gave out anti-union flyers and put up a TV in the cafeteria with anti-union messages. Similar screens were reportedly also installed in Newark and Houston. 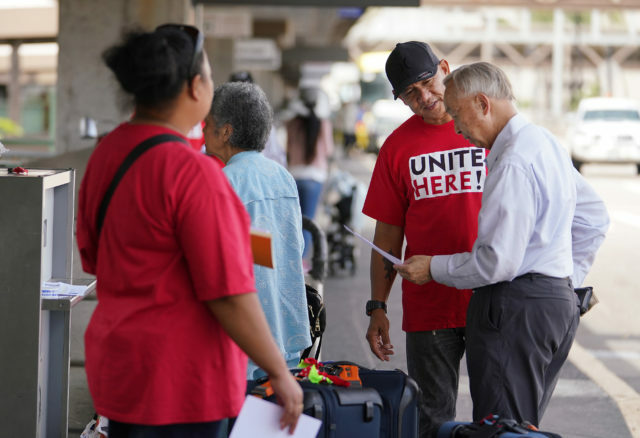 Workers say the airlines even flew out a United Airlines manager from Chuuk to Denver and Honolulu to try to persuade them not to unionize. There aren’t any unions in Chuuk, which is home to less than 50,000 people. “We take that responsibility seriously to ensure that our employees have access to the information that they need to make a fully informed decision about what’s best for them,” Benenati said in response to the allegations. The company’s efforts may be paying off — Aritos and Tipelo say some of their colleagues are now afraid to move forward with the unionizing process. One worker who was handing out flyers with Tipelo last week declined to be interviewed because he’s worried about how it will affect his job. The airlines’ reaction got the attention of U.S. Sen. Brian Schatz, who wrote to United Airlines along with four colleagues urging the company to respect workers’ rights. In the meantime, the workers must wait until the investigation is over. Cohorst said the National Mediation Board recently visited Newark to interview workers and Honolulu is up next. That’s good news to Tipelo.